So in the last few days youtube has erupted with controversy over the topic of diversity in literature. A youtuber who I do not follow or particularly care for posted a 22 minute video about how diversity was not needed and that all that mattered is good books not the diversity of the characters in said books. I honestly thought her video was kind of insane so I will refrain from posting it here and giving her more views but it is easy to find if you want to. Anyway, I thought I would bring up a quick point that I think often makes these discussions very messy. In the world of economics there is microeconomics, which is the study of an individual, group or company. This gets you into the nitty gritty of one person’s spending habits or the sales forecasts of a particular business. Then we have macroeconmics, which is the study of a national economy as a whole. This is where we talk about GDP, trade numbers, national unemployment rates and federal interest rate changes. These are broader, longer trends. So how does this relate to books and diversity? Well, it is important to talk about diversity on a macro level. To look at trends and statistics so that hopefully we can implement small changes to make things better. I don’t know anyone that thinks having more diverse characters is a bad idea. For example, I’ve always been a defender of faith-based films because I think it is good for that audience to have films that they relate to. It feels good to read a book or view a movie and find characters that feel and look like us. Is not part of the reason we go to the cinemas is to occasionally have someone like us staring back at us? To see our world in new and interesting ways through storytelling? Just this year I really enjoyed Ghostbusters and for me it was cool to see a woman like Melissa McCarthy in kind of a superhero role. She looks a little like me, and I’ve never seen anyone who looked remotely like me in a superhero movie. That was cool. I can only imagine how much more important that is for someone of a minority race or sexuality. All of these issues are good to discuss so we can support those books and films that do showcase diversity. Now they still have to be good movies/books. Don’t get me wrong. Niche audiences should not be placated too, but we also should seek out those books and movies that do it right. Where we get into problems is when we start mixing in a micro level perspective in this discussion. For example, talking about the lack of representation at the Oscars is a good thing because it is looking at movies as a whole and how we can do better. However, when a particular movie is focused on and declared as racist because it is not diverse that’s taking a macro discussion and making it micro. Certainly racist movies and books exist and should be called out but just because an individual movie does not have a diverse cast does not make it racist. I also think that authors and directors should be free to write about any culture or race that they want but they should do the job well. I hated Me Before You for a lot of reasons but one was how obvious it was the author had never met a person with quadriplegia before writing her novel about one. That’s irresponsible in my book. If she had done a good job than more power to her. Harper Lee was a white woman from the south and wrote one of the most stirring Civil Rights novels ever. But again we are talking about individual books, which is a micro-level discussion not the macro that is really effective. It also should be noted that many times those of different ethnicities or races require no real adaptation to include in a book or movie. I mean when I loved Clueless growing up I never thought about Dion being black and Cher being white. They were just 2 girls in a funny movie I liked. I do think the macro discussions are making a difference. I don’t know much about the publishing world so can’t speak for that but in movies I am seeing changes. Look at Marvel for example. We are getting Black Panther with a black cast and Captain Marvel with their first female superhero led movie. That’s great! Next year we get Wonder Woman and I pray that will be handled well. We have Oceans 8 coming out with an all female cast. That has potential to be great. Star Wars has been outstanding in featuring women and a diverse cast in both Force Awakens and Rogue One. Disney has recently had success with Elena of Avalor- their first Latina princess and Moana is going to be an islander with a more natural size and shape to her body. That’s a good thing! We still have a long way to go but I don’t think we get anywhere when we focus on the micro instead of the macro. ps. I also want diversity for purely selfish reasons. I get tired of reading the same types of characters with the same backgrounds. Same holds true for the movies. Shake it up! So that’s what I have to say about that! What do you think about what I have said? Do you see the difference between a micro and macro discussion? And how do you think we can improve diversity in both movies and books? 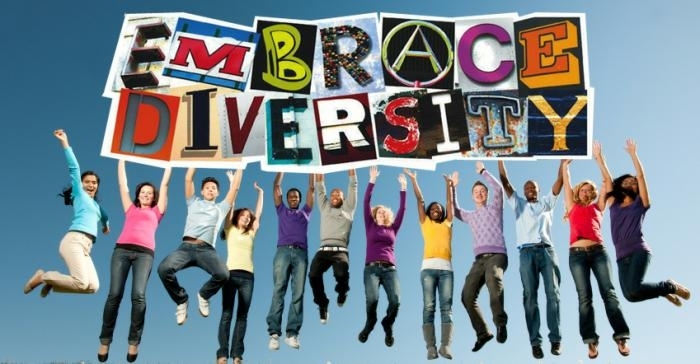 “More” diversity does not necessarily translate into “improved” diversity. If the focus is on “more,” all we’re going to get is a lot of schlocky thrown-together stereotyping, just to meet some bean counter’s quota. Quantity is not the same as quality, and as you said, research is where quality comes from. Other than that, we’re talking about Art, not rocket science, and the evaluation of art is subjective, so no artist in any medium is going to satisfy all of the people all of the time. Very good points. I completely agree quantity does not mean quality. It will be good when we don’t even think about diversity because it will just be normal casting/writing. I agree that diversity is important but doesn’t make or break a movie. I got a bit scared watching the video. I wish she wouldn’t sit so damn close to the camera when she’s shouting. Yeah definitely agree! She had some valid points but especially when she started talking about white race birth rates and Osama bin Laden’s 5 wives it went off the rails. I felt kind of embarrassed for her to be honest. That lady on the video you sent was…. nuts. And such a clueless white lady… haha. Anyways I like your post! I also get bored of watching things or reading books about the same kind of characters. It’s funny too because you think liberal Hollywood would do better with diversity. Animation has been doing a little better if you overlook voice casting issues. The characters in movies like Moana, Kubo and the Two Strings, The Book of Life are making strides in diversity.